Two cranes provided by Saudi Arabia, have arrived in Aden and Mukalla ports in Yemen. 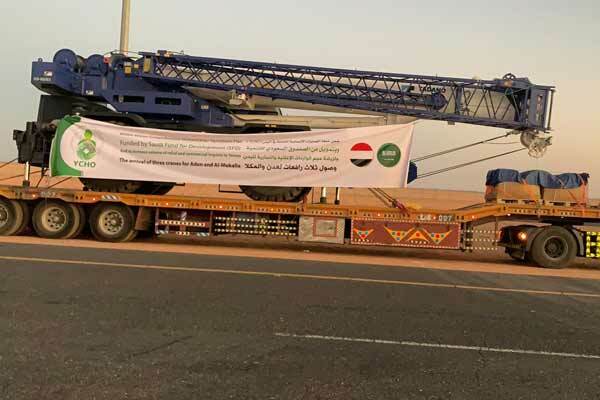 The cranes have been funded by the Saudi Fund for Development, through Yemen Comprehensive Humanitarian Operation Support Center, said a Saudi Press Agency report. This grant comes as part of the comprehensive humanitarian operations plan in Yemen, which supports the United Nations Humanitarian Response Plan in Yemen 2018. Two cranes will be installed in Aden Port and one in Mukalla Port.